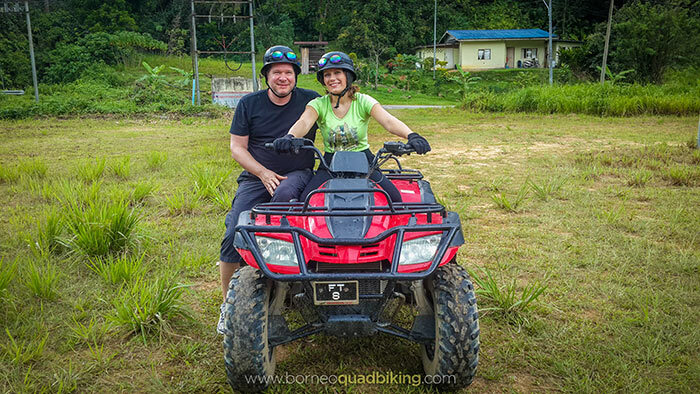 A guided scenic adventure unlike anywhere else in Borneo. 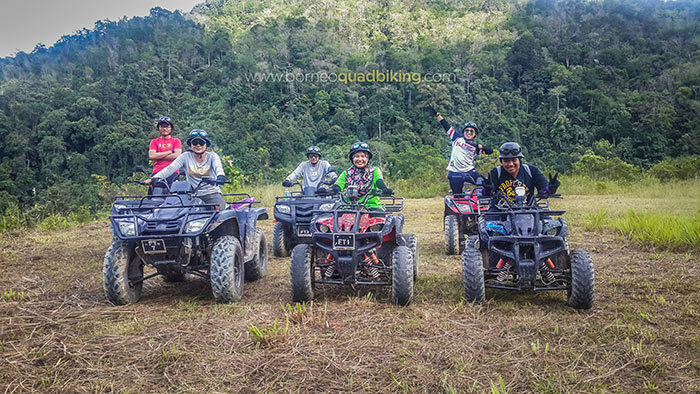 We provide helmet, riding gloves, face mask and 2 bottles of mineral water for each participant. 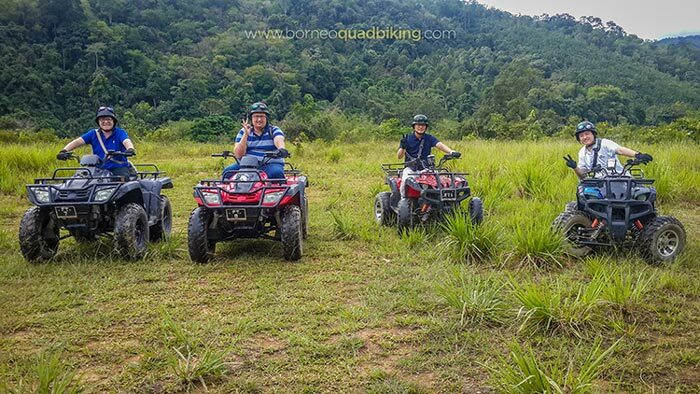 We contribute RM 10 for every guest who joins to the Kiulu Community Development Fund that goes towards building capacity in the Kiulu villages. 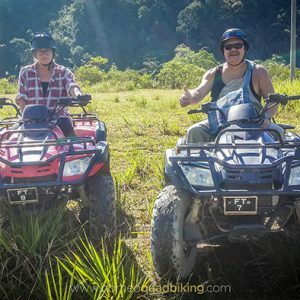 The excitement begins with your pickup from your hotel and a scenic drive approximately 1.5hours to the set-off point, stopping midway for photos of the scenic landscape. 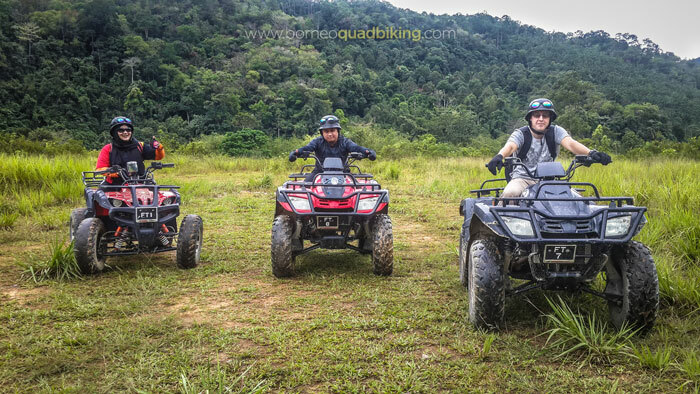 A safety briefing is held upon arrival before a practice run and then we’re off. 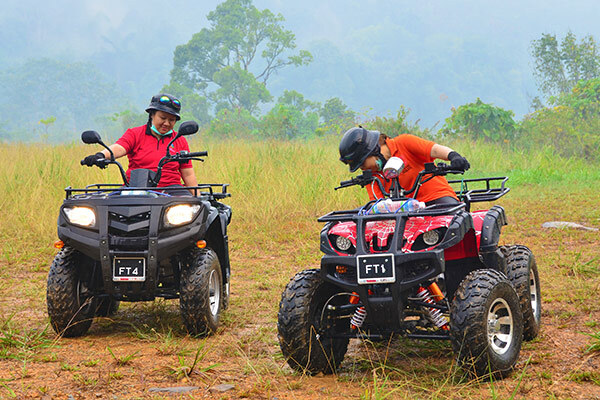 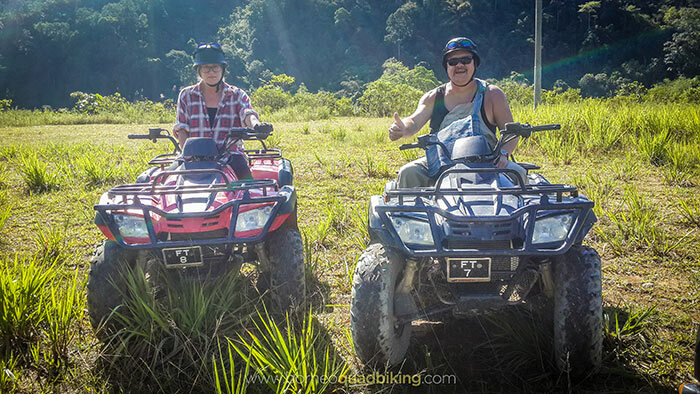 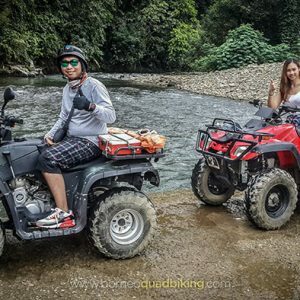 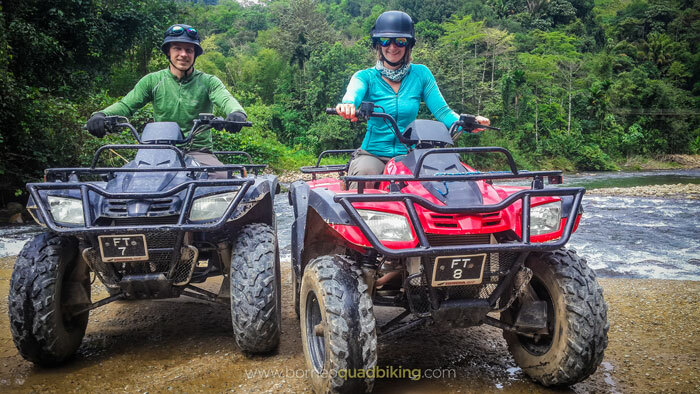 Embark on a two-hour guided scenic quad bike adventure, passing through several villages and beyond with views of the paddy fields, plantations, jungle and the Kiulu River. 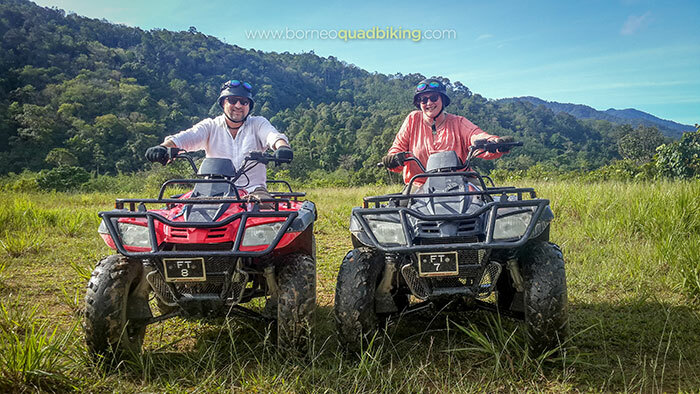 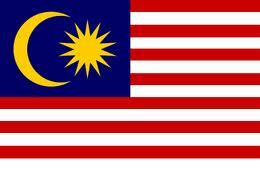 Thereafter, return to Kota Kinabalu and drop off at your hotel. 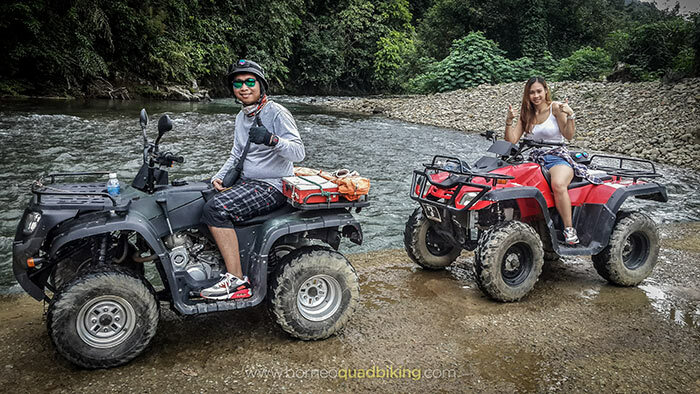 Quad bike tour is subject to cancellation in the event of adverse weather conditions. 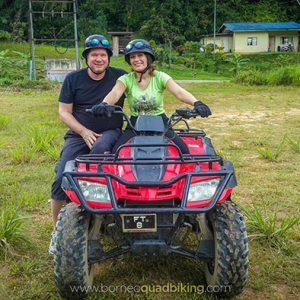 If the tour cannot be commenced due to safety reasons, a substitute tour, postponement, partial or full refund will be offered. 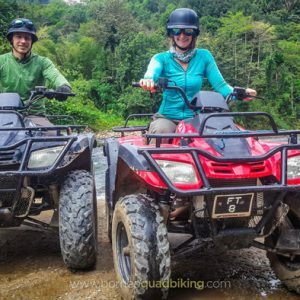 Get to know our equipment before you ride! 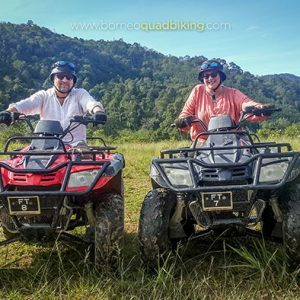 You may opt for a single-seater, a 150cc EGL (automatic bikes) and 300cc ATV (automatic or semi-automatic bikes), or you can choose a double-seater, a 600cc ATV (automatic). 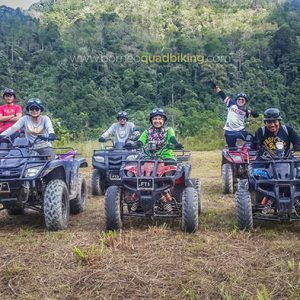 If you have children under 16 who want to ride as passenger on our brand new double-seater are welcomed, provided that they are accompanied by an adult driver. 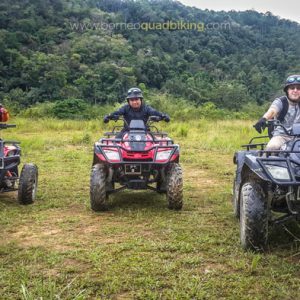 For your safety purpose, it is important to synchronize your body weight with the quad bike while riding up and across sloped ground. 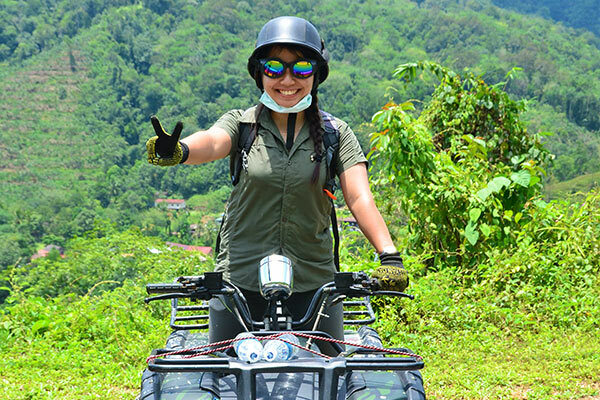 You are required to wear full face helmet and gloves to protect your hands when passing through the beautiful terrain of Kiulu. 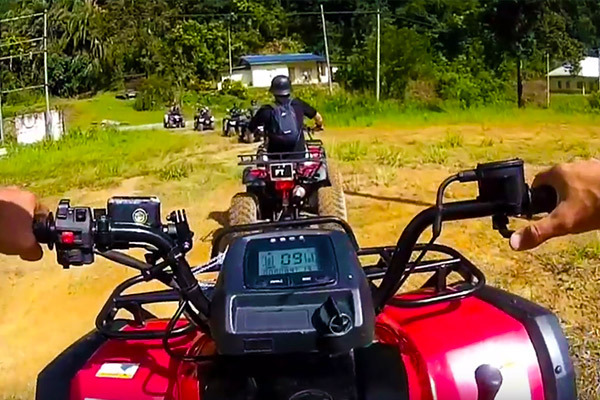 All quad bikes are steered using handlebars (it’s the same as a push bike), accelerated using a thumb throttle and braked using four fingers operated level (the same as a push bike) and/or foot pedal. 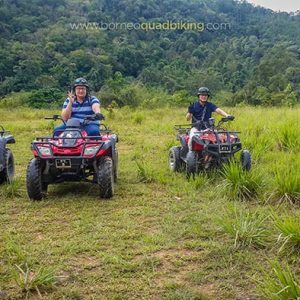 Gear shifting is controlled by an automatic clutch and an electronic button shift system, making it a more enjoyable experience without worrying the change of gears.